All I see is a vast expanse of squishy, brown snow, but the calender says it's happening tomorrow, so I won't argue. One of the best things about spring is that Easter comes with it, which means that my secret chocolate stash will finally be replenished. Seriously, my Christmas stuff is starting to look pretty sad. 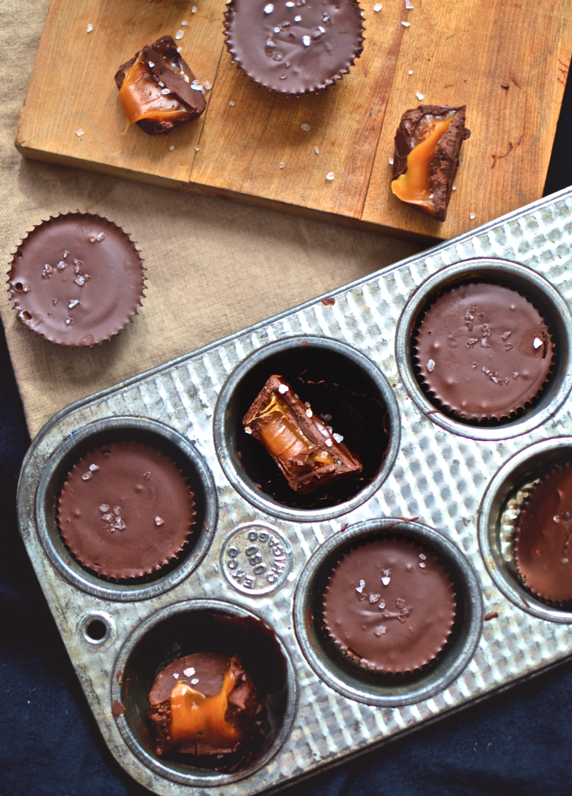 It pretty much consists of a ziploc bag of stale, half melted chocolate orange slices. I would just throw it away, but you never know what kind of emergencies might come up between now and Easter. If you are also experiencing a chocolate shortage in your life, I have an answer. 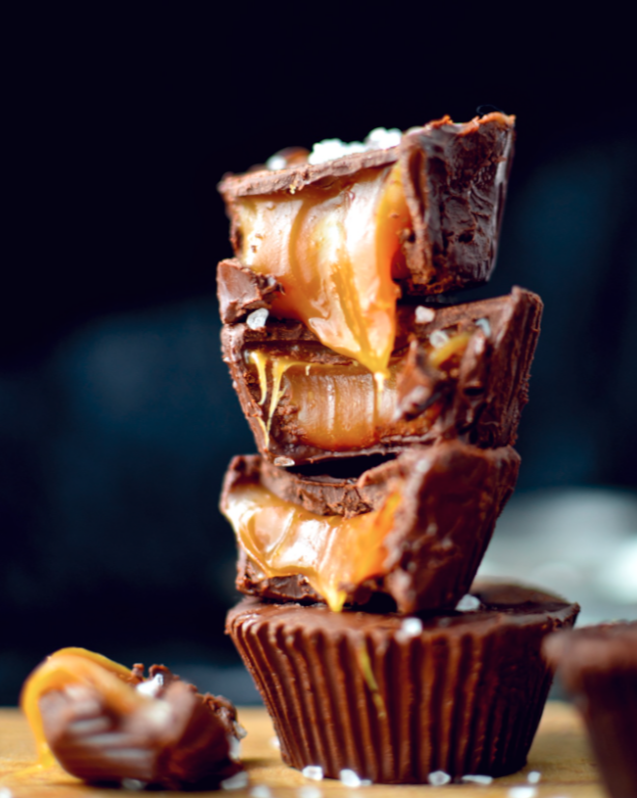 Make these salted caramel cups today. They're actually pretty easy. 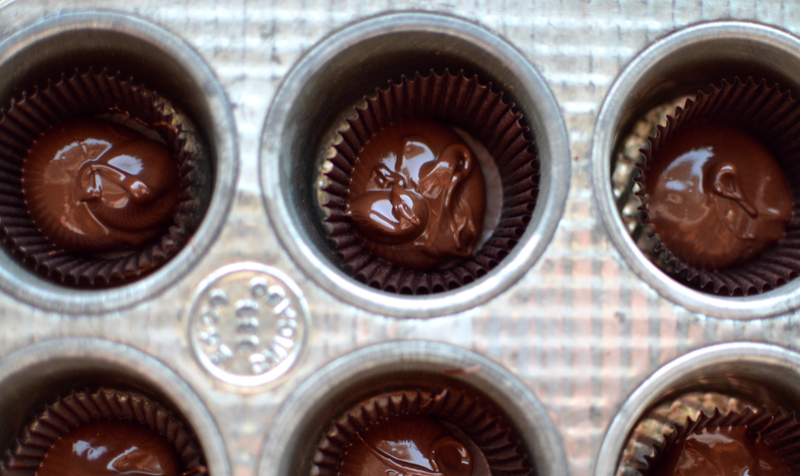 First, plop some chocolate in your mini paper cupcake liners. Then paint it around with a paintbrush. I actually held the cup in my hand to paint it, which was a lot easier, but I can't hold the camera, the cup, and the paintbrush at the same time so I'll never be able to prove it. You should do another coat after it hardens (which only takes a few minutes in the fridge). 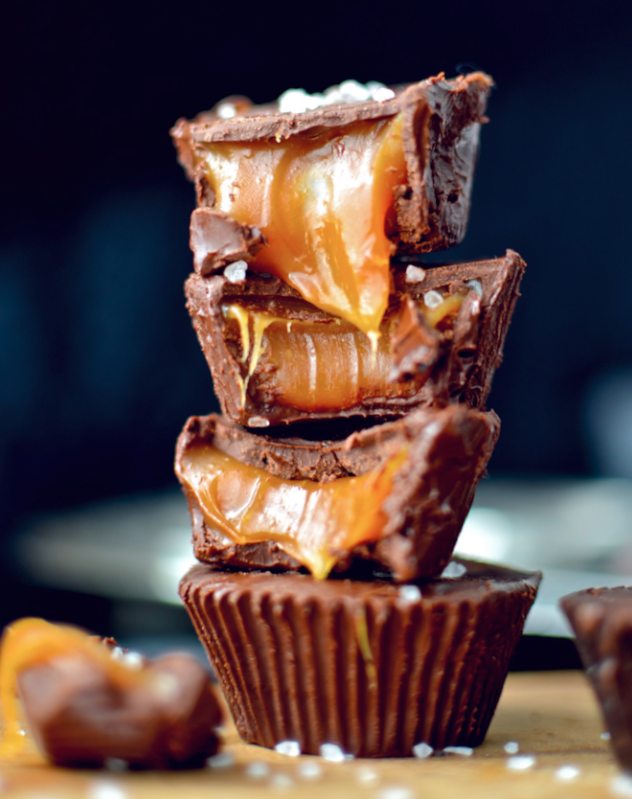 Then you just fill your cups with your homemade caramel and paint some more chocolate over the top. Here's a really professional picture of me filling the cups with caramel. Heh. Like I said, I can't hold everything at once. Combine the sugar and corn syrup in a saucepan. Cook on medium high heat, stirring constantly, until it becomes caramel colored. Add the butter (be careful, it might splatter) and the milk. Return to heat and continue stirring until smooth. Remove from heat and add vanilla and sea salt. 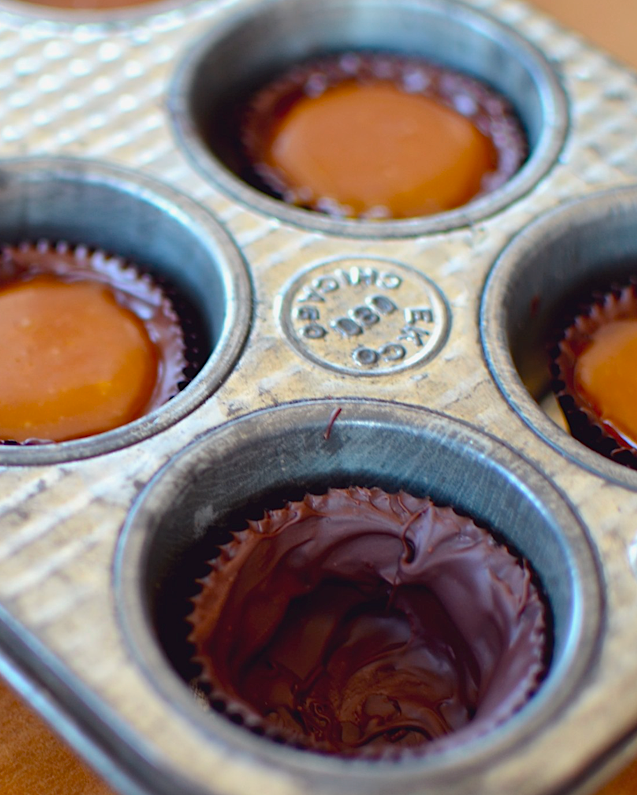 Melt the chocolate and paint it into mini paper cupcake liners. 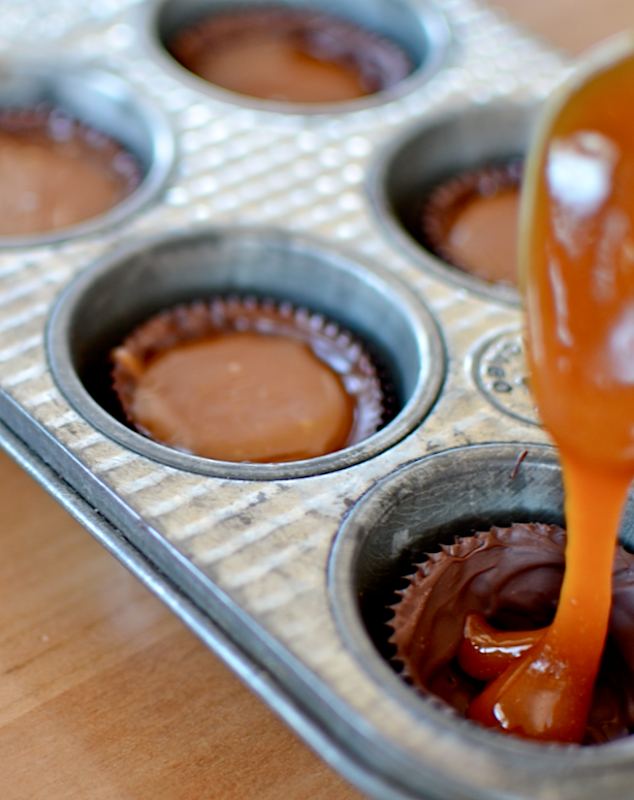 Allow to harden in the refrigerator (it doesn't take long), then add another coat. Return to refrigerator until hardened again. 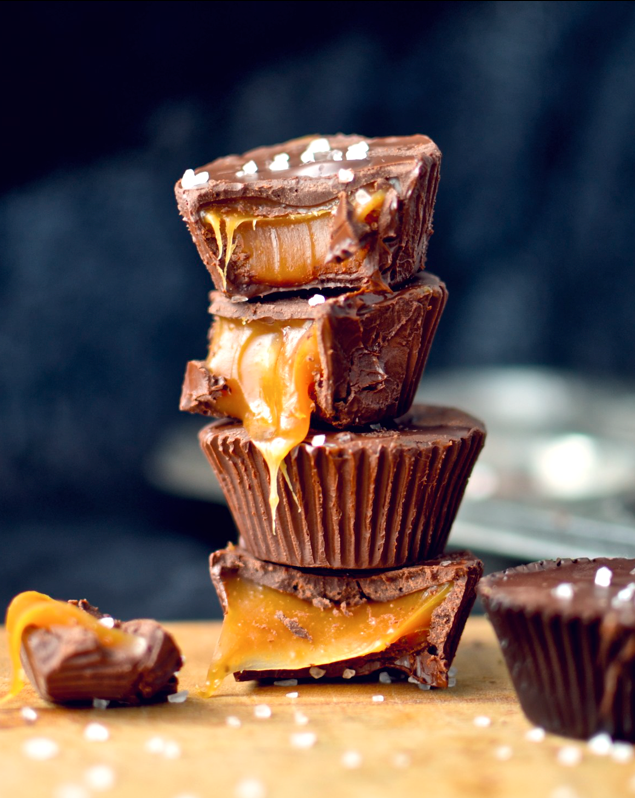 Fill all the cups with caramel. 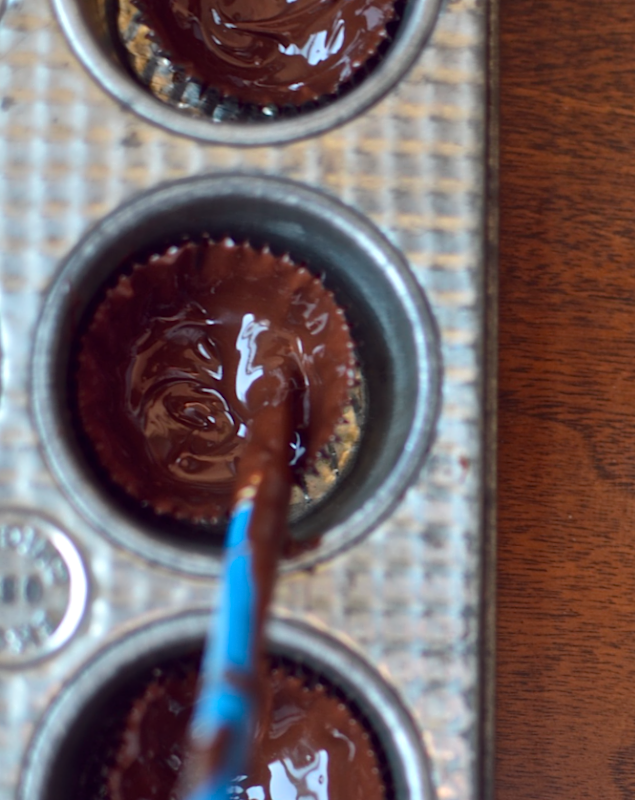 Paint the rest of the chocolate over the tops of the cups. Once it's beginning to harden a little, sprinkle on some more sea salt.